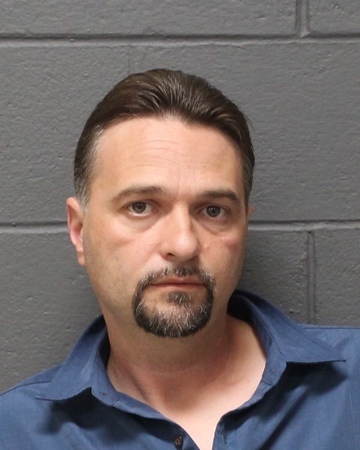 SOUTHINGTON - Southington police have charged a Newington man in a local sexual assault. Richard Hancock, 44, has been accused of sexually and physically assaulting a woman at a local house on Dec. 6, 2017, Southington police said Monday. He was charged Aug. 10 with first-degree sexual assault, third-degree assault and disorderly conduct. Hancock was held on $250,000 bond for several days before he was arraigned last Monday in Bristol Superior Court, where his bail was lowered to $75,000. He has posted bond and is due back in court on Sept. 4. Hancock has not entered a plea. According to police, the woman reported the sexual assault on Feb. 7. She said she was injured during the incident and had sought medical treatment at an area hospital. The complainant, police said, was a known acquaintance of Hancock before the incident. Police Monday said they would not be releasing further details on the allegations. The arrest warrant in the matter has been ordered sealed by a judge. Posted in New Britain Herald, Southington Herald, Newington on Wednesday, 22 August 2018 20:54. Updated: Wednesday, 22 August 2018 20:56.